We are going to extend our current exchange contract to support taking fees from trades (development of this feature is almost completed). 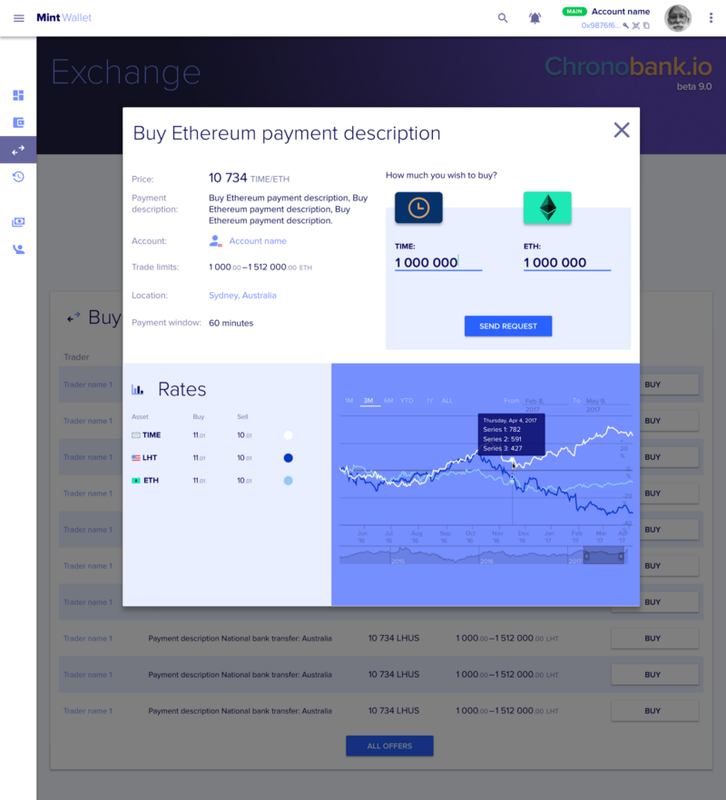 We are going to build an ‘exchange factory’ smart contract that will allow any ChronoMint user to instantiate one or more exchange contracts between ETH and any ERC20 compatible token, and manage the funds, volumes and rates themselves. A very basic fee will be applied to any trade. (We are currently discussing the fee amount and calculation formula.) It will be distributed via the rewards contract in exactly the same way as for Labour Hour tokens operations. 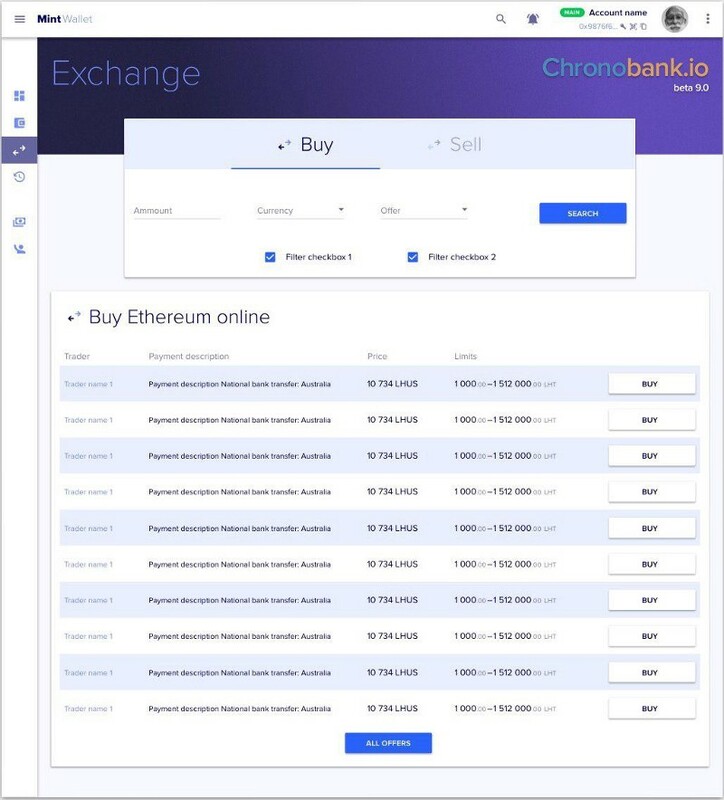 We are going to extend user interface to support search and filtering for all the available exchange contracts offers, according to users’ existing buying or selling orders (similar to the way that LocalBitcoins does it).